What is %FFF? 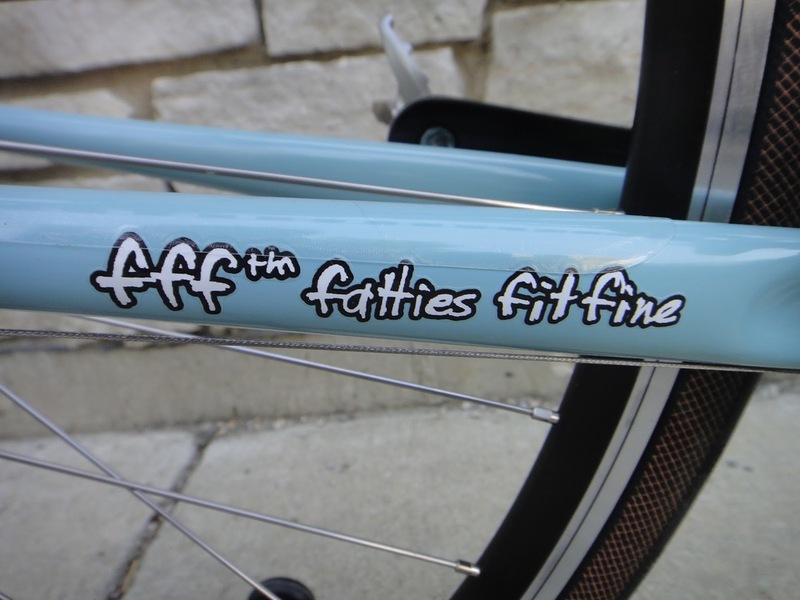 Does it have to do with how awesome Surly bikes are? It’s “percent fossil-fuel-free” and it’s the way Ching and I measure how sustainable our lives and travels are. Our goal is 100% fossil fuel free living. My stickers wore off too much to read; this is some stranger's ride. Energy is a complex subject. This is probably one reason it’s so hard to effect change in the way people behave, consume, and legislate. Those who know me, know that I delight in exploring details and minutia…and I gotta say that researching this post bored me to tears. I mean, check out this report, for example. How far did you make it before you gave up? Yeah, me too. This is supposed to be fun, right? So let’s make a deal: I’m going to lean on some assumptions to get through this, and hopefully y’all won’t grill me in the comments over the small stuff. Keep in mind that this isn’t a paper for Scientific American, it’s just a couple people trying to wrap their minds around their impact on the environment. Please do comment if you catch a serious error, though. Everybody’s lives require energy inputs to keep rolling. We use energy both directly (lighting, cooking, driving), and indirectly (the fuel consumed by the UPS truck that delivered your Amazon order, the lights in the grocery store where you shop, the energy to power the janitor’s vacuum at your office building). Indirect energy consumption should definitely not be ignored, but it’s very hard to quantify, because it goes down a rabbit hole REAL fast. Most of us only have real control over our direct energy use, so that’s what Ching and I are talking about when we say our goal is to be 100% fossil fuel free – 100% of our direct energy use. How do we figure out that number? Some simplifications and assumptions are required in order to make the calculation manageable. Our % will not be some empirically-correct value, but we think it is, at least, a meaningful way to evaluate ourselves. So I’m going to try and tally the energy we’ve used since we’ve been on the road, and then sort out what percent of that energy was fossil-fuel derived. Travel: Moving your home and worldly possessions from place to place. This may mean a class-A bus towing a car, a pickup with a slide-in camper, or (for us) a pickup towing an RV trailer. Transportation: Going places without bringing your house along, e.g. grocery shopping, going to work, sightseeing. Living: Doing what it takes to conduct your lives inside and around your home, e.g. working, bathing, cooking, and relaxing. *Some consumables (motor oil, transmission fluid, tires) do contain fossil components, but I reckon the amounts are small enough to ignore for now. For example, the 30 quarts – 7.5 gallons – of oil our truck has consumed wouldn’t impact these numbers very much, and it was synthetic, anyway. We’ve noticed that WVO and diesel yield about the same fuel economy, so for this calculation, 1 gal. of WVO is equal to 1 gal. of diesel. You may be wondering how we managed to burn so much diesel when we’re supposedly operating a WVO-fueled truck…The short answer is that we had a lot of lessons to learn. There was one day that we ran out of WVO and drove entirely on diesel, but the rest of the diesel usage is on account of various design and mechanical failures…I’ll go into that more in a future post on the truck conversion. We’ve still cut our diesel usage basically in half, and we expect these numbers to improve a lot when we re-do the conversion in our replacement truck. 13% (charge) + 13% (usage) = 26% total battery capacity consumed. This method doesn’t account for electricity consumed during battery recharging, and until I set up the instrumentation I can’t directly measure that. So for now, why don’t we round that 2.894kWh up to 3kWh and see how it goes. For these calculations, all our energy use has to be measured in the same units, so I’ll take our electrical usage in kWh and convert it to equivalent gallons of diesel. For that conversion I’m referencing this document (made by the government so you know it’s true). It’s from the perspective of vehicular energy use, so might not be ideal for this application, but it's so conveniently organized I can’t resist. The numbers in that DOE table are also loosely corroborated by this Wikipedia article. This means that our 3kWh daily solar electric usage is equal to 0.0788gal. diesel per day. That’s 12.69 equivalent gallons of diesel in 136 days. That means we’ve used 1 equivalent gallon of diesel to warm noodles and make cookies. Ok, wow. This is the first time I’m looking at these numbers, and I’m disappointed. I was expecting to come out in the 80’s, maybe high 70’s, but this? Ouch. I definitely thought we would use more energy “living” compared to driving. Many times during the RV rebuild, Ching and I asked each other: “This RV is so much work, why should we even bother converting the truck? 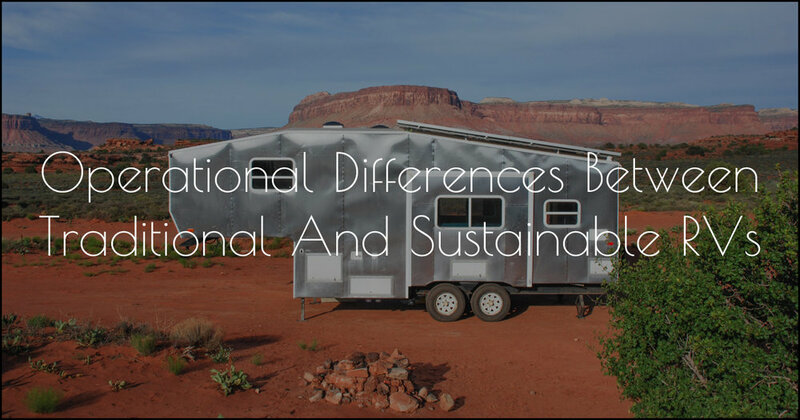 Isn’t the RV sustainable enough on it’s own?” Now I’m glad we didn’t give up on the WVO conversion; the energy used by our truck accounts for 98.4% of the total energy we consume! If we had skipped that, we’d have been leaving nearly all of our fossil fuel usage on the table. Well, the goal is still 100% fossil fuel free. Before we left Asheville, we were living on the grid of a coal-fired power plant, and although we did bike-commute, we also did plenty of driving. That was a nearly 0%FFF lifestyle, so it’s fair to say we’re halfway to our goal – but the remaining half is the “hard” half! Our solar array is providing ample power for life in the RV, so long as we don’t try to live someplace ridiculously cold or hot. We already plan to ditch the propane oven so before long we’ll be 100% fossil-free in the RV. But that is, apparently, not the main problem; our "living" energy usage is already 92.7%FFF. While our combined "travel" and "transportation" energy usage is only 52.4%FFF. By its nature, a WVO conversion works best when you’re making primarily long trips. With the bugs in our conversion worked out, we can drive 400 miles on WVO with just 5 miles’ worth of diesel (98.75%FFF), so long as we drive that entire distance without stopping for very long. But of course, not every trip is 400 miles, and most are much shorter, especially when we use the truck to run errands. This leaves us wondering about other alternative fuels and technologies that could get us all the way to 100% fossil-free. It’s something I look forward to researching. Technology isn’t the only answer, however. Another way to reduce our fossil fuel use is behavioral, and it’s something most people can also do, with the vehicles they already own: Drive them less. This is why we brought bikes. Our first 6 months saw us doing a lot of driving, crossing from the east coast to the west, and dropping in on several friends -- that’s not something we intend to do often. What we want to do is move to new places and then spend time really exploring them, without leaning regularly on a motor vehicle. It will be more work if we’re boondocked at a very remote site, but bicycle commuting for errands would save us a lot of diesel. So that’s where we stand on the quest to be fossil fuel free. We have some ideas about what we can try to improve, and we’ll repeat this calculation periodically to reflect any progress we’ve made. There isn’t an already-defined plan for how to make this happen and we surely don’t think we’ve got all the answers, so if you have ideas or suggestions, please speak up!